This weekend, the University of Chicago women’s basketball team was plagued by another round of poor shooting, a flaw that cost the team two games. As a result, the Maroons dropped to 3–10 in the UAA. And now, they have only one conference game left. This expectation turned out to be prescient. On Friday in a 50–68 loss to Brandeis, Chicago was pressured from the start. The Judges (9–15, 3–10 UAA) jumped to a 7–0 lead in the opening minutes, and expanded the lead to 33–21 in the first half. 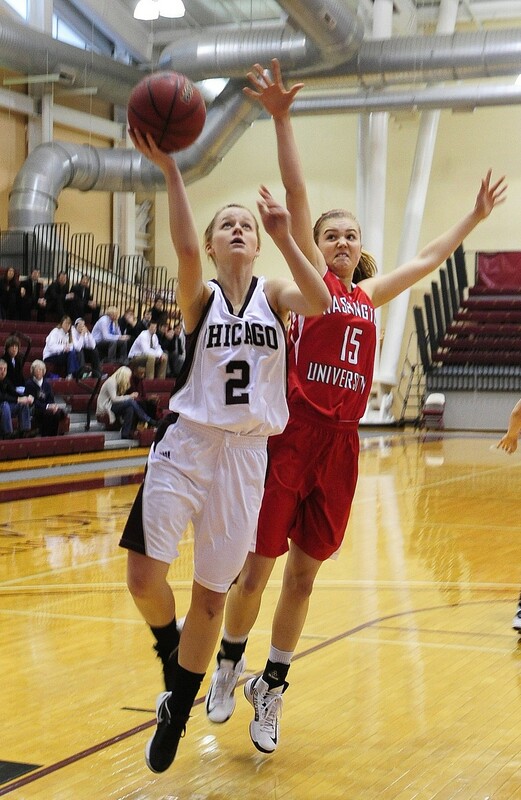 In addition, the Maroons were out-rebounded 25–13 in the first frame and 44–25 overall. Brandeis also capitalized on superior post play and 19 turnovers by the South Siders to clinch the win. “Against Brandeis, we struggled to get going from the beginning and never fully recovered,” Womack said. On Sunday, the University of Chicago faced similar problems against NYU. The Violets (10–14, 3–10 UAA) outscored the Maroons 30–14 in the paint on their way to a 67–53 win. After taking control early in the game, Chicago experienced an uncharacteristically uniform poor shooting performance, shooting 28.6 percent to NYU’s 50. Furthermore, despite winning the battle on the boards by four, the team failed to make important defensive stops—allowing the Violets’ Riley Wurtz to score 23 points and pull down 17 rebounds. However, Chicago sees many opportunities to take what it learned this weekend and turn it into a win against Wash U on Saturday. Because the game against the Bears is the last conference game for the Maroons, their expectations have been set high. Tip-off against the Bears is set for 2 p.m. on Saturday at the WU Field House.